Fortress Of Freedom Board :: View topic - OCACP Protest Against The G20: Part 2! OCACP Protest Against The G20: Part 2! 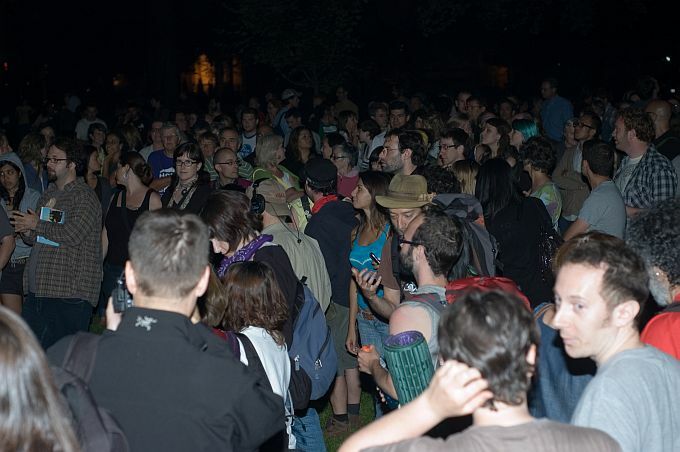 Posted: Sun Jun 27, 2010 4:15 am Post subject: OCACP Protest Against The G20: Part 2! 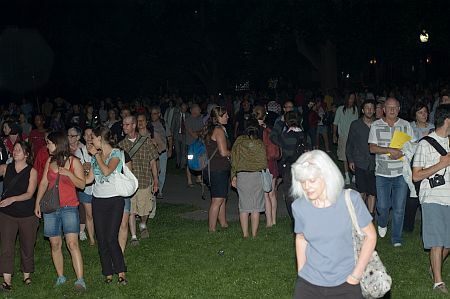 Here are some photos taken after the Ontario Coalition Against Poverty's rally and march against the G20 Summit here in Toronto. 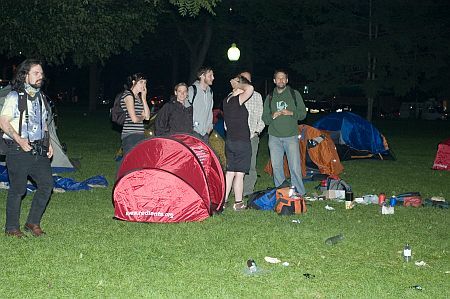 After the march OCAP and interested parties returned to Allen Gardens where it began and set up a small "tent city." It was a real tent city with people setting up for the night. Most of the other usual parties to protests were still there with banners and placards. 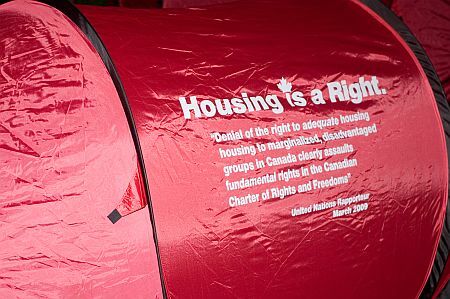 There were also the "infamous" "red tents" from Vancouver during the Olympics that cost about 100 dollars. While we were there, another march joined OCAP at Allen Gardens. Cheers and hollers greeted these marchers and the park got quite populated. There was still a police presence but they were not checking bags like they were earlier today. The protest was winding down for the night and the large labor protest would begin tomorrow.